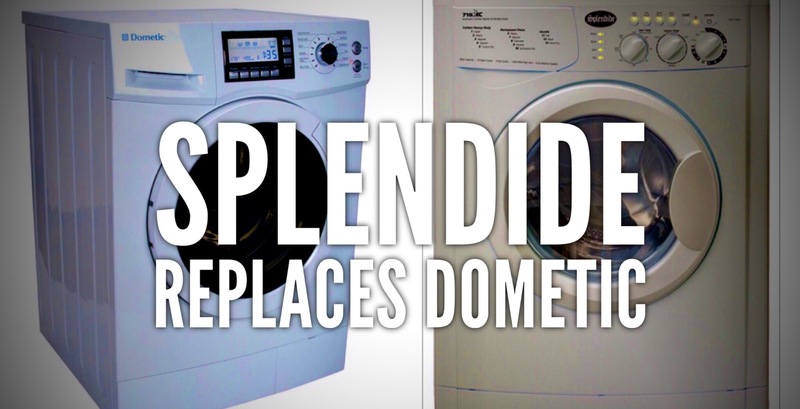 So for any of you that have been following our blog, you know that we’ve had more than our fair share of issues with our Dometic washer/dryer combo. We got it new with the camper at the end of March 2015. It started throwing the familiar E3A error code 2 weeks ago and since we had a mobile tech coming out to fix the heat pump on the AC, we had him look at the washer also. He called Dometic when he got to our place and after giving him a runaround, they finally had him test the control panel, which turned out to be bad. At first they said they didn’t have a replacement since they aren’t making washer/dryers anymore but when Jason (the mobile tech) asked what they planned to do as far as reimbursing us, they magically found one. Shocker. We waited for that to show up and Jason came out this past Thursday to replace it. Once he got the thing apart, we could tell right away that the control panel they sent us wasn’t going to fix the problem. 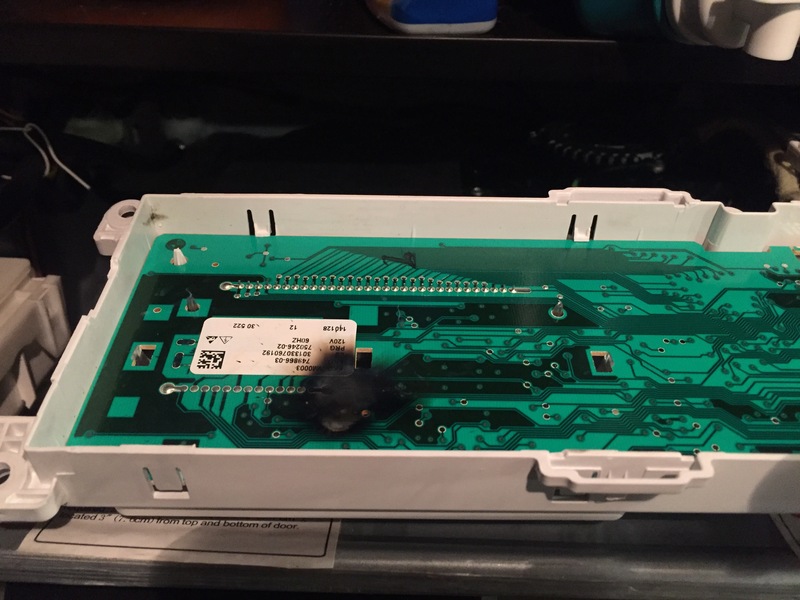 You can see on the left hand side, the small board is burnt up. They sent the longer panel, where it was the short one that was literally burnt, along with the back piece that touches it. When he called in to tell them, they suddenly claimed that we were out of warranty. After they had approved his hour of labor and sent the Control panel at no charge. But then they said they would “goodwill” the cost of a new unit but we had to pay the labor to put it in. Whatever. Dometic. So Jason went and got a new Splendide combo for us (also ventless). It’s the 7100 I believe. And it’s working great so far! We are currently in the truck, with the house behind us, heading to Iowa 80 Truckstop for the night (and the Super Bowl). *315 miles* I feel like that’s our new favorite spot. Then on to Xenia, Ohio *468 miles* for a job that should last 2-3 weeks, or maybe longer, who knows! The pups will be happy to get out of Minnesota, as will we. 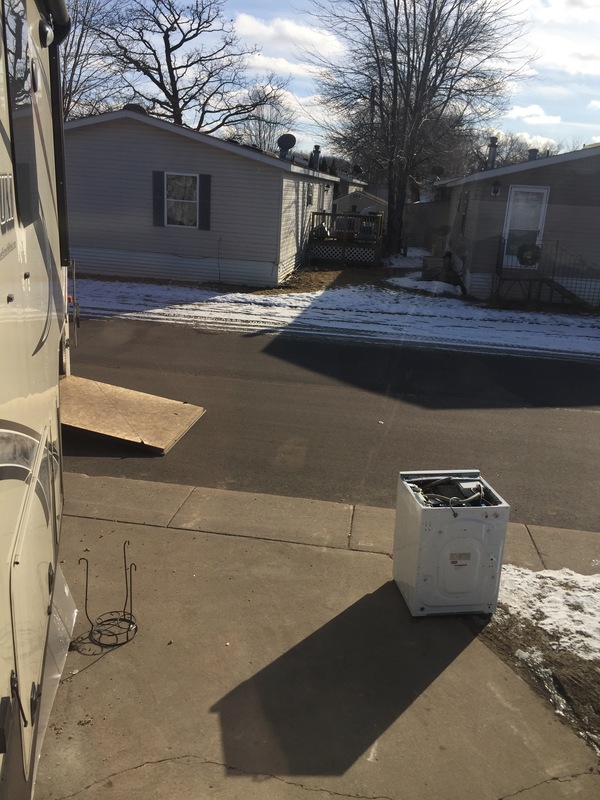 This entry was posted in 2015 Grand Design Momentum 385TH, Camper, Projects, RV and tagged control panel, Dometic, E3A, mobile tech, splendide, splendide washer dryer combo, washer dryer combo by Rachel Gillen. Bookmark the permalink. Glad to see you get another washer. Well here’s the final word for my unit. The tech came today, said the circuit board was bad and blower too. Luckily I left him the service manual and a copy of your blog to simplify things, as I figured he had never serviced one of these before (which was true turns out). Also I wanted him to know not to bother trying to get parts, they won’t be available. He ran some tests with his laptop and declared the machine non-repairable. 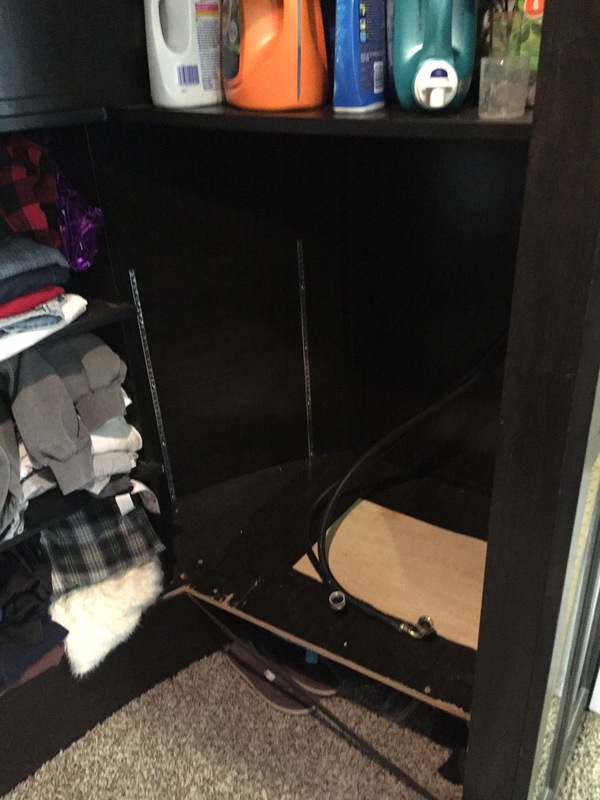 After he called them, Midea immediately notified me I am eligible for a refund which will take about a month to get after I mail them a piece of the electrical cord. So that’s that. I do hope they recall these machines because after reading so many reviews there’s an obvious pattern that the majority are defective within a year. Once again, a big thank you for your blogs which really helped make this process much easier for me. BTW I am glad to have a separate dryer that actually dries my clothes in 90 minutes, not 4 hours now (plus not be wrinkled to hell). Good luck on your road trips. I’m really glad we could help! I’m also glad you’re getting a refund. So far, our Spledide has been great. We did have an issue with an error message flashing but the customer service was night and day vs Dometic and they walked me through how to reset everything and it’s been fine since. I think this time it may have been caused by the power at the new campground we are in not being consistent. They said that could trigger it, and we’ve lost power twice here for a couple minutes at a time.